It’s March in Palm Harbor which means it’s time for golf! If you’ve followed my blog for a while you’ll know that March is my favorite month of the year. It’s filled with birthday’s and anniversaries and Spring Break and vacations and GOLF! Each year the PGA Tournament comes to our backyard with the Valspar Championship at Innisbrook Resort. Golf? Yes, golf. I promise it’s a fun spectator sport, or at least Valspar and Innisbrook make it fun! The Valspar Championship is known as the most colorful PGA tournament in the world. Spring is in full bloom in Florida and the courses are blooming with colorful flowers. I have a good friend who is in the landscape business and he’s always in awe of how manicured the grounds are. The grounds are so colorful and it’s always so joyful to walk around the tournament. You feel like you’ve escaped the busy life around you when you drive into Innisbrook and walk around the course. Tuesday, March 7th: Professionals practice round. Gates open at 8am and this is a free event to attend. Wednesday, March 8th: Championship Pro-Am. Gates open at 6am. Thursday, March 9th: Championship Round 1 and Tampa Bay Times Senior Day. Gates open at 6am. Friday, March 10th: Championship Round 2. Special celebrity cooking demo with Chef Ming Tsai at 1pm. Gates open at 6am. Saturday, March 11th: Championship Round 3. Chick-fil-A Moooving Day, Valspar LIVE! Concert with Toby Keith (6:30pm), and another cooking demo with Chef Ming Tsai (10am). Gates open at 7am. Sunday, March 12th: Championship Final Round and Tampa Bay Times Senior Day. Gates open at 7am. There are fun activities for the entire family all week long. While we’d usually go on Saturday for the concert series (free with Saturday’s admission), we’ll be on our way out of town for Spring Break. Instead, we’ll be taking the kids on Friday (shhhh….don’t tell their teachers) and enjoying a day off. Yes, it’s a family-friendly event! We’ve taken our kids for several years. My daughter was about 5 the first time she went with us and had a ton of fun. Valspar Shot Spots: Designated areas around the course where you can take a selfie! Valspar Color Experience & Expo Pavilion: If you like to visit with vendors and play fun games (and maybe take home some goodies) you’ll love the Color Experience behind the 18th hole. You might even get an autograph from some of your favorite players. Valspar LIVE! Saturday ticket holders can enjoy a complimentary concert from Toby Keith after the days round of golf. 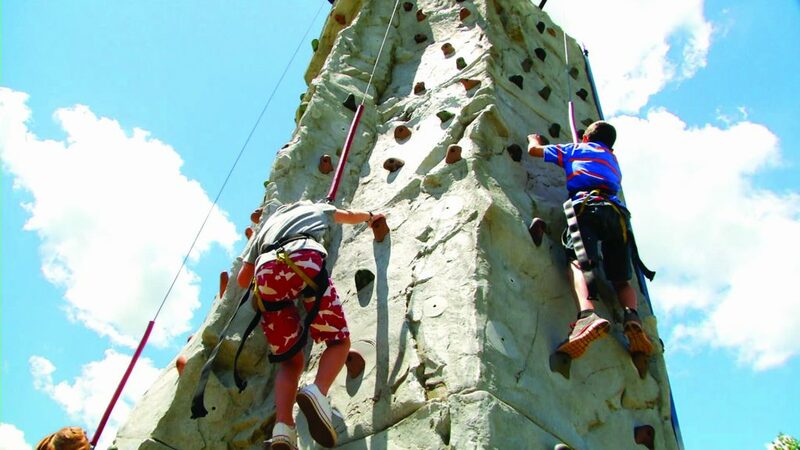 McDonald’s Family Fun Zone: Something for kids of all ages including a rock climbing wall, putting course, arts & crafts, and mascots. Kids Viewing Zone: Special kids-only platforms are located on the 17th and 17th greens. Food Truck Rally: This one is new this year and one that I’m super excited for!!! I love Tampa’s food trucks!!! You can still get single day tickets or tickets for the entire week of events online. Single day tickets start at $39, there are special discounted rates for military families and children 15 and younger get in free with an adult. I’ll be headed over for a sneak peek Tuesday to attend the Executive Women’s Day panel and luncheon. 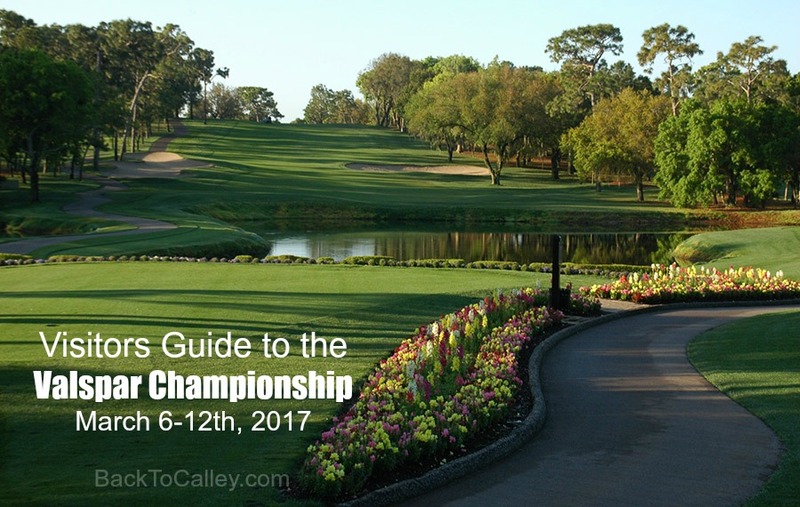 Follow me on Facebook, Instagram and Twitter @BackToCalley #ValsparChampionship to learn more.